One of the many benefits of the Web is the ability to create unique, personalized experiences for individual users. We believe that this personalization needs to be done with respect for the user – with transparency, choice and control. When the user is at the center of product experiences everyone benefits. Over the past two years, we’ve ideated, built and scaled a content platform that respects users. We served tens of billions of pieces of content. We experimented with all content – including advertising. We proved that advertising can be done well while respecting users. We have learned a ton along the way. Our learnings show that users want content that is relevant, exciting and engaging. We want to deliver that type of content experience to our users, and we know that it will take focus and effort to do that right. We have therefore made the decision to stop advertising in Firefox through the Tiles experiment in order to focus on content discovery. We want to thank all the partners who have worked with us on Tiles. Naturally, we will fulfill our current commitments as we wind down this experiment over the next few months. Advertising in Firefox could be a great business, but it isn’t the right business for us at this time because we want to focus on core experiences for our users. We want to reimagine content experiences and content discovery in our products. We will do this work as a fully integrated part of the Firefox team. We believe that the advertising ecosystem needs to do better – we believe that our work in our advertising experiments has shown that it can be done better. Mozilla will continue to explore ways to bring a better balance to the advertising ecosystem for everyone’s benefit, and to build successful products that respect user privacy and deliver experiences based upon transparency, choice and control. Mozilla’s mission is to promote openness, innovation and opportunity on the Web. We therefore welcome the call from publishers’ associations DCN and WAN-IFRA for stakeholders in the open Web to join the discussion on digital advertising practices. These properties make the Web the most publicly beneficial medium of our time and the proliferation of content on the Web is crucial to its continued growth. All participants in the ecosystem have interests that must be acknowledged and respected, including users and publishers. We believe that the only way that the Web continues to exist as an open and vital asset is if we focus on its long term health. We have been advocating for this focus both in product and in policy. We are happy to see others recognize this need in both making and responding to this call to action. And naturally, we will continue to listen to our users, whom Firefox exists to serve. We will continue to focus on delivering them transparency, choice and control. We look forward to collaborating with industry partners who share these principles. Next week, the Content Services team will be at dmexco in Cologne and I wanted to share an update about Content Services’ work ahead of the event. Last May, we announced “Suggested Tiles”, and during the summer, we went live with users of the American English (“en-US”) version of Firefox. Since early August, we have been delivering promoted content provided by our first wave of partners including Yahoo, a number of top tier news titles including Fortune Magazine and Quartz, and mission-oriented partners such as the Make-a-Wish Foundation and the Electronic Frontier Foundation. These partners are leaders in their categories, and we chose them for their ability to add value in Firefox. While we consider these to be commercial partnerships, we are not receiving money to show this content. That is why Firefox users see only the label, “Suggested”, next to these tiles, rather than “Sponsored” (at the moment, the only sponsored Tiles we are running are Directory Tiles, which we launched last November). Excitingly, we’re seeing high engagement rates with the content in the new tab. We’re also learning about the variables in the experience, such as the breadth of an interest category, the frequency and pacing of content, and of course, the creative assets themselves, and how they affect the rate of engagement. As I wrote in March, we’re here to improve the state of digital advertising, and we continue to examine opportunities throughout the space. One is increasing transparency across the industry: as well as making sure that users understand their experience, and how they control it, we’ve also provided functional details of how the Suggested Tiles experience is delivered, including how interest categories are defined. This is transparent for partners, and transparent for users. If you’re going to be dmexco in Cologne next week, we would be very interested to learn more about your needs and discuss the opportunities that Tiles represent. I look forward to seeing you there. Mozilla has a long history of innovating with how users interact with content: tabs, add-ons, live bookmarks, the Awesome bar – these and many more innovations have helped the Web to dominate desktop computing for the last decade. Six months ago we launched Directory Tiles in Firefox, and have had great success with commercial partnerships and in aiding awareness for content important to the project, including Mozilla advocacy campaigns in support of net neutrality and the Mozilla Manifesto. Today, I’m pleased to announce Suggested Tiles – our latest innovation and complement to Directory Tiles, as we work to create a more powerful and personalized Web experience for our users. I discussed the Mozilla mission in the context of digital advertising earlier this year. Suggested Tiles represents an important step for us to improve the state of digital advertising for the Web, and to deliver greater user agency. Much of today’s digital advertising utilizes data harvested through a user’s browsing habits to target ads. However, many consumers are increasingly weary of how their data is being collected and shared in the advertising ecosystem without transparency and consent – and complex opt-outs or unreadable privacy policies exacerbate this. Many users even block advertisements altogether. This situation is bad for users, bad for advertisers and bad for the Web. With Suggested Tiles, we want to show the world that it is possible to do relevant advertising and content recommendations while still respecting users’ privacy and giving them control over their data. And to bring influence to bear on the whole industry, we know we will need to deliver a highly effective advertising product. We believe users should be able easily to understand what content is promoted, who it is from and why they are seeing it. It is the user who owns the profile: only a Firefox user can edit their own browsing history. 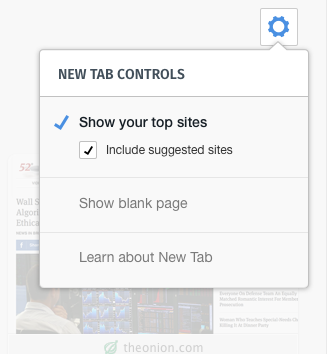 And for users who do not want to see Suggested Tiles, opting out only takes two clicks from the New Tab page, without having to read a lot of instructions. To deliver Suggested Tiles we do not retain or share personal data, nor are we using cookies. If you want to learn more about how Suggested Tiles protect a user’s data, we produced this infographic, and the Mozilla policy team have described the details of how our data principles translate to the data policy for Suggested Tiles. Suggested Tiles are controlled by the user, respect their privacy and are not directed towards a captive audience. As different as this sounds, we believe that this makes Tiles a better experience for users and for advertisers. Suggested Tiles will help advertisers and content owners connect with millions of Firefox users, and do so at a time when the user is receptive to hearing from them, making it a much more valuable connection. By delivering content experiences based on the user’s recent and most frequent browsing, we know when content will have high relevance. And because we are delivering this content early in a browsing session – rather than mixed in with the user’s activity – we know they are more likely to engage with it. We already have some very satisfied partners for Directory Tiles, and I am confident that Suggested Tiles will deliver even higher levels of engagement. For partners who are interested in getting involved with the Suggested Tiles initiative, we have a site where you can learn more and register your interest: http://content.mozilla.org. So what happens next? Suggested Tiles will be going to Beta soon and then live later in the summer. Initially, users will first see “Affiliate” Tiles advertisements for other Mozilla causes and Firefox products before Suggested Tiles from our content partners appear. Note that we’ll be rolling out the product in phases starting first with Firefox users in the US. If you have any questions about how Suggested Tiles will work, need more information or want to explore a potential partnership with us, please visit content.mozilla.org. This is still one of our early steps towards our goal of improving the state of digital advertising for the Web – delivering greater transparency for advertisers, better, more relevant content experiences and, above all, greater control for Firefox users. Earlier this year I wrote about how 2015 will be a big year for Mozilla to scale and build better personalized experiences as we help move the ad industry forward. Today, I’m excited to announce two new additions to our Content Services team as we continue our mission to create innovative content offerings while always upholding Mozilla’s commitment to user privacy. 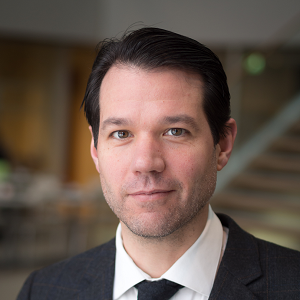 Accomplished interactive advertising expert Aaron Lasilla has joined Mozilla and our Content Services team as head of content partnerships. 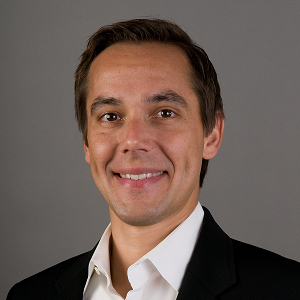 Aaron comes to us from EA Games where he served as the global director of brand solutions and co-founded the in-game advertising group. 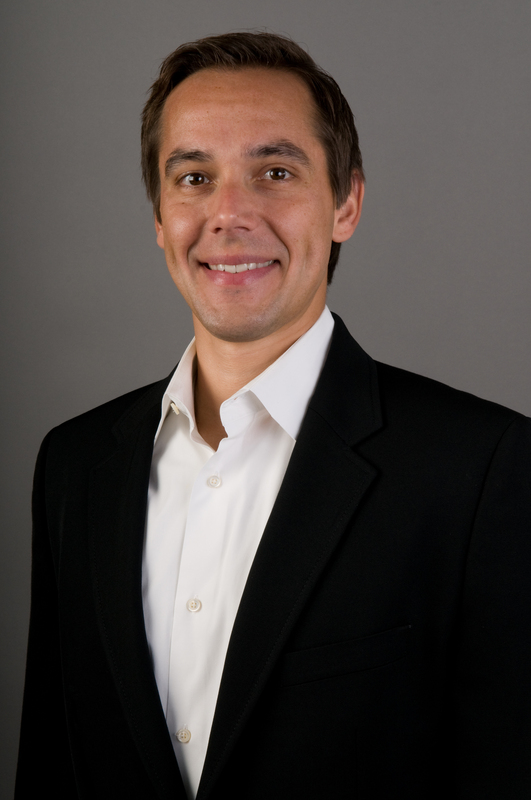 Aaron was instrumental in negotiating and securing a number of strategic partnerships for EA’s publishing division as he built the group it into a new business and revenue channel for EA, including the largest EA Online partnership ever (within Pogo.com’s casual games offering, in 2003). During his tenure, EA was established as the number one publisher of integrated advertising placements and partnership in and around games. Aaron previously managed Microsoft’s Premium Games Advertising offering and also worked in sales and sponsorship capacities for Double Fusion, Clear Channel Entertainment and Kemper Sports Marketing. As we continue to develop and refine our new offerings like Firefox Tiles, Aaron will be focusing on engagement and value exchange for Mozilla’s offerings while maintaining the same quality and standards of user experience that Mozilla is known for. In addition, I’m excited to formally announce that long-time Mozillian Patrick Finch joined our group late last year as director of marketing. Patrick has been with Mozilla for over seven years based out of Sweden and has worked in a number of strategic roles on Mozilla’s desktop and mobile projects over that time. Prior to joining Mozilla Patrick spent over ten years at Sun Microsystems in a variety of capacities including working on numerous open source projects. As we continue the rollout of Firefox Tiles and bring on new partners, you’ll probably be seeing more of Aaron and Patrick on this blog. If you’re interested in partnering with us in our mission or if you’d just like to drop our team a line, feel free to reach out to us at contentservices@mozilla.com. In my experience, ad tech doesn’t often celebrate the rapid pace of development in the browser space – something that Mozilla kick-started with Firefox in 2004, by the way. Competition among browsers has lead to advances in the Web that are easily overlooked: advances in performance, in interactive content, in graphics and audio, not to mention in user interface design all of which have grown the digital market. But for all this common interest, browser vendors and ad tech companies have historically had little collaboration. Last month I had the pleasure of attending the Interactive Advertising Bureau’s Annual Leadership Meeting and just last week Denelle, our SVP of Business and Legal Affairs, took the stage with IAB CEO Randall Rothenberg at the IAB’s event at Mobile World Congress. When I think about some of the biggest issues facing the ad tech industry that came up in these discussions, questions such as the fight against fraud, viewability, the challenge of mobile and of the appropriate use of data, I feel that the Mozilla project is very well placed to make a positive contribution. Mozilla’s interest in the Web economy is fundamental to what we do. The Web is free to implement, free to publish on, is cross platform and offers opportunities for many. No other medium shares these properties. As Mitchell puts it, “The World Wide Web is the greatest tool for knowledge sharing and collaboration we have ever seen”. That’s why Mozilla invests in developing open standards, in fighting censorship, and in advancing the Web on mobile devices, and it’s why we are now becoming actively involved in the digital ad space. Advertising, after all, is the principal way that this great resource is funded. Although the Web has gone from a novelty to something we cannot imagine our lives without in under two decades (at least, for those of us who can remember a world before the Web! ), we should never take it for granted. Standards, the platforms and formats that govern large parts of the internet economy, are forming very quickly – so quickly that we might not even think of these things as standards. These “de facto” standards make their owners very rich and create empires. 20 years ago, Microsoft was that empire. If you wanted to make application software, it had to run on Windows, because that was where the users were. And if you wanted to buy a computer that had applications available, you had to buy a Windows PC. Today, similar power rests with Apple and Google. These companies have created huge markets and delivered great innovations, but they also exercise huge levels of control. But the Web is not centrally planned, it has grown organically. It has very low barriers to entry and light regulation which is a perfect formula for innovation. Publishing, letting your audience find you and monetizing that audience through advertising has become the dominant way of publishing online. We’ve become so used to this model that professional online media is almost entirely dependent on advertising. We exchange our attention and some information about ourselves for access to content. But fast-moving, unregulated markets often create externalities, costs we all bear, and having spent my career in digital, I can certainly name a lot of them! Page design can suffer because of adverts, editorial policy may skew to deliver impressions. Fraud is rife in online advertising. And advertising has created a huge secondary market in data about users, often without anyone’s explicit consent. It’s this market for data that is probably most concerning about our industry today. As Denelle commented last year, trust should be the currency. This should be a transparent value exchange. Users should understand how their data is being used, and have control over that usage and understand what they are getting in exchange for it. This is all too often not the case. Browser vendors, browser extension makers and privacy activists have responded to the needs of users by delivering many different approaches to protecting their privacy on the Web. The W3C first recommended P3P back in 2002, and since then we’ve seen ad blocking browser extensions, tracking protection lists, vigorous debate about third party cookies, and the FTC backing for a Do Not Track (DNT) system. Mozilla was a major contributor to the DNT mechanism, hoping it would give the ad industry a way to understand and honor a consumer’s choice. Sadly, we’ve yet to see great uptake across publishers. We will continue to work in this space, finding ways for consumers to express and to enforce their right to privacy online. Our commitment to protect users and their data, and deliver them ways to opt out of experiences they do not desire will never waver. 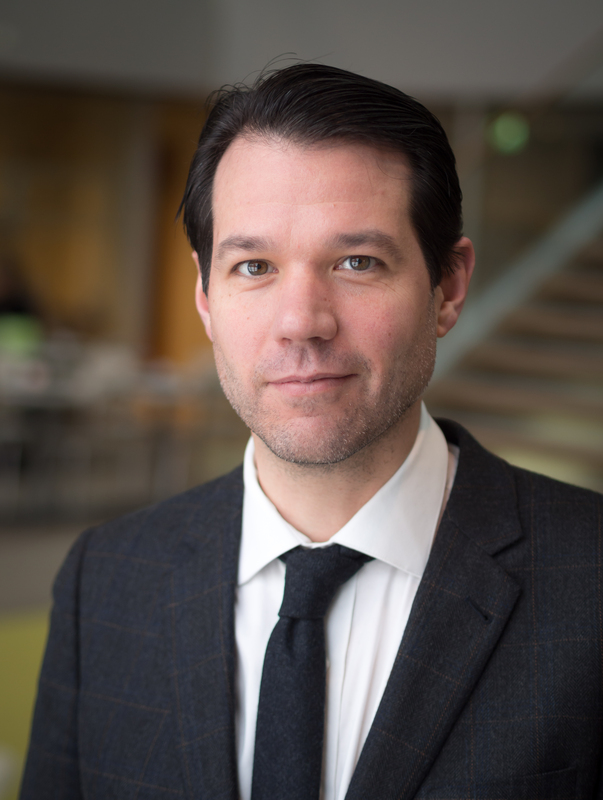 As important as such tools are, we cannot expect to incentivize the ad tech industry solely by being, as Gregory Cristal puts it, an “unknowable force”. There are parts of the industry which are investing in such harmful measures as canvas fingerprinting or super-cookies. We have to offer better alternatives, and set better standards. And so when I hear privacy advocates saying that it is the role of the browser to deliver tools for the user to protect their privacy, I agree. And when I hear Randall Rothenberg saying that browser vendors have a responsibility to our culture and to our economy, I agree. I do not believe that these aims are in direct conflict. We need advertising experiences that work for advertisers and publishers, but that also respect the wishes – the agency – of the user. The user needs to be at the center of the experience, and their desires must be respected in the value exchange. Facilitating this discussion and bridging the gap between these two groups is a job for Mozilla because this is what we do. We fight for the Web and deliver users sovereignty over their experience. We’ve proven our ability to move markets in helping the open Web break out from the Windows desktop. We’ve implemented and standardized countless Web technologies. We’ve advocated for open Web video codecs while helping groups move away from less secure, closed technologies such as Flash. And we create impact for our partners, such as our recent deal with Yahoo! that’s creating the first real movement in the US search market share in years. I believe the future for digital advertising is fascinating. The first dot-com boom delivered access to millions of consumers through eCommerce, generating huge advances in making signals of supply and demand more efficient. “Web 2.0” gave us participation online, as individuals put our creative works online, we connected with each other. The move to mobile has seen this participation commercialised, as mobile services created micro-producers in a variety of industries. What’s next? A glance at what the big internet companies are doing all points to a certain direction: Apple’s Siri, Google Now and Amazon’s Echo point to a future where direct response advertising will be more contextual and directed by the user’s control. A future that is described by some as “intent casting”, where the user is in control of the demand signal they generate. But the big question is this: will that future be mediated by the vertical integration of Apple or Microsoft, the horizontal ubiquity of Google and Amazon, or the open market of the Web? Will it be an open market, or a walled garden? The Mozilla project is at its best when we create products that embody our values and can bring partners into our community. And we have to do just that in this space: monetization and advertising on the Web must evolve to respect the user. To provide a better content and advertising experience for our users within Firefox. This may include but is not limited to the creation of new units, better personalization, and a higher volume of partners for varied content. To push the industry forward. We are sure that there are content and advertising technology companies who aspire to the same principles we do but do not have the tools to act with today. That’s why in the next few days we will be contacting a number of content and advertising tech companies, both large and small, to discuss an RFI (“Request for Innovation” – a partnership proposal) for providing more automation and scale in our offering. Scale allows us to deliver content to our users across the globe so we keep the experience for users fresh and current. Automation allows us to do this on a scale that’s significant. We have to engage with the industry’s state-of-the-art. That means working programmatically (and this can be a very complex space to operate in). We know that there are many people in ad tech who welcome our involvement – many have already joined the project. One of Mozilla’s distinct qualities is its ability to bring in champions for our cause, from advocating for open standards to sharing the vision of an open mobile ecosystem, we are at our best when we focus on our own competence and bring others into our community. This will not be business as usual. We have a very clear sense of who we would and would not partner with, and any relationship we enter into has to support our values. And while there may be some areas for discussion we will not partner with organizations who blatantly disrespect the user. We believe digital advertising can respect users’ privacy choices. We can build useful products and experiences that users will choose to engage with, and provide an experience that delivers value. We believe publishers should respect browser signals around tracking and privacy. Our content projects will respect DNT signals. We will collect and retain the minimal amount of data required to provide value to users, advertisers, and publishers. We will put users in control of product feature opt-in/out. We’ve launched the early version of our platform in the Firefox anniversary release (33.1), last November and we’ve been learning and tweaking it since. 2015 is a big year for us to scale and build better experiences and we’re looking forward to sharing these with you. Feel free to reach out to us (contentservices@mozilla.com) or join our interest list. Following the launch of Tiles in November, I wanted to provide more information on how data is transmitted into and from Firefox. Last week, I described how we get Tiles data into Firefox differently from the usual cookie-identified requests. In this post, I will describe how we report on users’ interactions with Tiles. As a reminder, we have three kinds of Tiles: the History Tiles, which were implemented in Firefox in 2012, Enhanced Tiles, where we have a custom creative design for a Tile for a site that a user has an existing relationship with, and Directory Tiles, where we place a Tile in a new tab page for users with no browsing history in their profile. Enhanced and Directory Tiles may both be sponsored, involving a commercial relationship, or they may be Mozilla projects or causes, such as our Webmaker initiative. And we do these things in accordance with our data principles both to set the standards we would like the industry to follow and, crucially, to maintain the trust of our users. Unless a user has opted out by switching to Classic or Blank, Firefox currently sends a list of the Tiles on a user’s new tab page to Mozilla’s servers, along with data about the user’s interaction with the Tiles, e.g., view, click, or pin. Directory and Enhanced Tiles are identified by a Tile id, (e.g., “Firefox for Android” Tile has an id of 499 for American English-speaking users while “Firefox pour Android” has an id of 510 for French-speaking users). History Tiles do not have an id, so we can only know that the user saw a history screenshot but not what page — except for early release channel Telemetry related experiments, we do not currently send URL information for Tiles, although of course we are able to infer it for the Directory and Enhanced Tiles that we have sent to Firefox. We also break up the data into smaller pieces that cannot be reconstructed to the original data. When our server receives a list of seen Tiles from an IP address, we record that the specific individual Tiles were seen and not the whole list. With the data aggregated across many users, we can now calculate how many total times a given Tile has been seen and visited. By dividing the number of clicks by the number of views, we get a click-through-rate (CTR) that represents how valuable users find a particular tile, as well as a pin-rate and a block-rate. This is sufficient for us to determine both if we think a Tile is useful for a user and also for us to report to a commercial partner. Calculating the CTR for each tile and comparing them helps us decide if a Tile is useful to many users. We can already see that the most popular tiles are “Customize Firefox” and “Firefox for Android” (Tile 499, remember) both in terms of clicks and pins. For an advertiser, we create reports from our aggregated data, and they in turn can see the traffic for their URLs and are able to measure goal conversions on their back end. Since the Firefox 10th anniversary announcement, which included Tiles and the Firefox Developer Edition, we ran a Directory Tile for the Webmaker initiative. After 25 days, it had generated nearly 1 billion views, 183 thousand clicks, and 14 thousand pins. Webmaker.org’s Analytics dashboard: 182,488 sessions and 3,551 new Webmaker users! We started with a relatively straightforward implementation to be able to measure how users are interacting with Tiles. But we’ve already gotten some good ideas on how to make things even better for improved accuracy with less data. For example, we currently cannot accurately measure how many unique users have seen a given Tile, and traditionally unique identifiers are used to measure that, but HyperLogLog has been suggested as a privacy-protecting technique to get us that data. A separate idea is that we can use statistical random sampling that doesn’t require all Firefox users to send data while still getting the numbers we need. We’ll test sampling through Telemetry experiments to measure site popularity, and we’ll share more when we get those results. We would love to hear your thoughts on how we treat users data to find the Tiles that users want. And if you have ideas on how we can improve our data collection, please send them over as well! – Ed Lee on behalf of the Tiles team. A month ago, we announced that the new Tiles experience is available in the stable Firefox build. 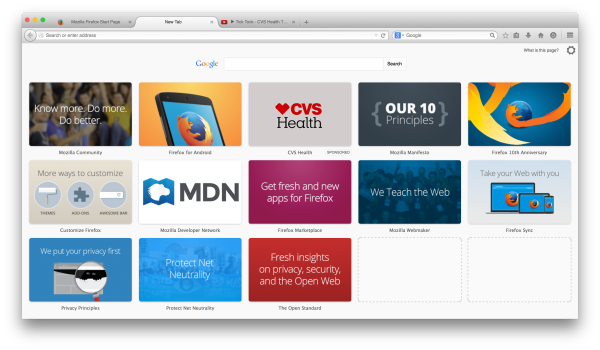 We experimented earlier this year and found that users do want more than empty boxes or screenshots in Firefox. The Mozilla project is also working hard to set higher standards for the industry around transparency and control of the use of a user’s data. With that in mind, we wanted to make it clear what data we do and do not pass from Mozilla servers to Firefox to enable the Tiles experience, and here, we’ll address how Tiles get into Firefox. You can, of course, inspect the source code, but this might be easier. Typically, if a web page adds external content, it does so by embedding an unencrypted remote request with cookied identifiers, so the server can respond as fast as possible with relevant content. The server also wants to remember as much as possible about the context of the request such as IP addresses and referrals, so this all is tracked through a persistent identifier that could be shared and triangulated with other data sources. Frequently, where a server wants to gather as much data as possible about users, invisible image beacons and iframes/scripts may be used to gather more information. This is all done with little understanding by, or permission from, the user. With the November 10th release, Firefox sends a single custom request once per day and then saves data locally to be used for as many new tabs opened by the user. 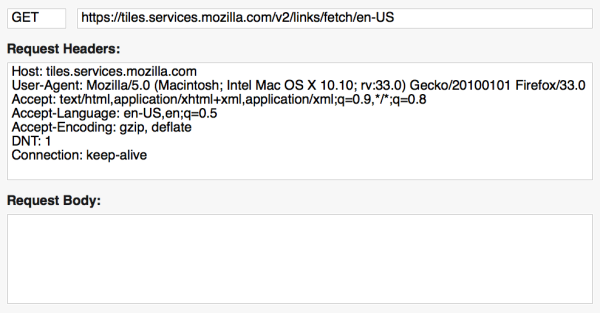 The Mozilla server sees the IP address of the request, and uses that to determine geotargeting at a country level (e.g., nothing more granular than “United States” or “Germany”). The request URL contains the locale of the Firefox build to ensure the content Firefox shows is language and location appropriate. Having received the request, we respond with the appropriate content and then delete the raw data with IP addresses within a week. Even with this minimal actionable data set, we are able to determine the volume of requests for specific country/locale pairs. This helps us decide which tiles to translate to provide a useful experience to new users in those regions. The JSON response contains display information: Tiles graphics resources, URLs and titles, and is defined for a specific country/locale pair. Tiles is still evolving, and this is an initial release, but there are several things that we like about how we get Tiles data into Firefox. Very importantly, this is an experience that is controlled by the user, involves the minimal actionable dataset. “Tracking” has become a loaded term, and we do not consider Tiles to be tracking. We do not need or try to identify an individual with these data requests, meaning that no cookies need to be set (and no other techniques to “fingerprint” are used). However, we assume that anyone who has previously set their DNT preference to “do not track” wishes to opt out of the experience, and so no request is sent. DNT is not how a user will opt out of the Tiles experience: a user who has Tiles can also set “do not track” independently of their Tiles settings. The architecture reduces the latency requirements of our Tiles experience compared to traditional web pages: because Firefox can request and cache the data, it can pre-load assets, pre-compute personalization, and pre-populate the new tab page, so when users open a new tab, it’s fast and immediately usable. And even though we send little data and save little data, we secure that data with transport encryption and prevent attacks with key pinning. There are downsides to this approach: the data file could be outdated in both space and time. For example, a user could download tiles for their home country but then travels elsewhere, or we might accidentally show a Happy New Year tile after that date has passed. Also, because we package additional information in order to let Firefox make decisions, Firefox ends up with some title and URL data of Enhanced tiles that are not shown to users. These are all potential improvements we’re looking forward to making. 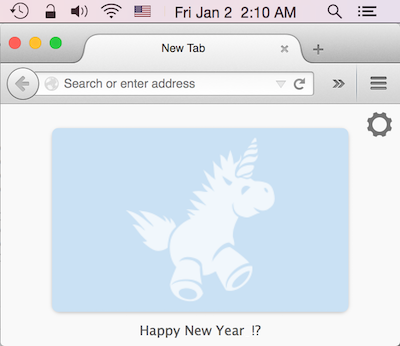 Happy New Year Tile… might be a day late! I’m sure we can improve on our implementation. We would also love to hear your thoughts on our approach to getting relevant Tiles data to power the default Directory and Enhanced Tiles experiences. Next time, we will detail how we report data on interactions with Tiles. With the 10th anniversary update to Firefox, there was an important update to the new tab experience, promoting Tiles to the Firefox stable build, and making them available to hundreds of millions of users around the world. Today we are excited to announce our first two sponsored Tiles partners: CVS Health and their media agency Mindshare North America, and Booking.com. For years, the new tab page in Firefox was unique in being intentionally blank – but by 2012, we learned that we could facilitate many users’ workflow through the new tab page. We added thumbnails based on a calculation of “frecency” (frequency and recency of a user’s browsing history, essentially the same way that the Awesome bar calculates relevance). We learned that many users find these history thumbnails useful; but we were not entirely satisfied with the feature. Thumbnails might be broken, and the experience could be much more dynamic. We need to be able to use our voice with our users, for example to raise awareness around issues that affect the future of the Internet, and to promote those causes that we believe are important to that future. We have been exploring the content discovery space. There are many aspects of digital advertising that concern us: from the overall integrity of the advertising system on the Web, to the user having control over what happens to their data, and then to what happens to the data once the user has given their consent. I have been writing for a while on this blog about the principles we follow and the ideas we have to improve digital advertising. Lastly, we wanted to explore ways to contribute to the sustainability of the project in a way that we felt could align with Mozilla’s values. Tiles are our first iteration on starting to solve these problems. They create a more useful, attractive and dynamic new tab page. Tiles also represent an important part of our efforts to create new communications, content and advertising experiences over which Firefox users maintain control. We’re very excited to have partnered with CVS Health (and Mindshare/GroupM) in the United States and Booking.com globally as our first two Firefox sponsored Tiles partners. We are live in 8 languages and 25 different countries*, and will continue to iterate with Mindshare/GroupM and Booking.com, as well as with our community, as we continue to improve on the experience. We have been delighted to work with Mindshare/GroupM and Booking.com. When we collaborate, we need to understand the vision and objectives of the partner, and to understand if that partner is able to work within the framework of Mozilla’s principles. Running sponsored content in Tiles is results-based, not surveillance-based. We do not allow tracking beacons or code in Tiles. We are not collecting, or providing them with, the data about you that most digital ad networks do. There are certain categories that require screening or what’s commonly known as age-gating, or have other sensitivities, that we will stay away from, such as alcohol and pharmaceuticals. For users with no browsing history (typically a new installation), they will see Directory Tiles offering an updated, interactive design and suggesting useful sites. A separate feature, Enhanced Tiles, will improve upon the existing new tab page experience for users who already have a history in their browser. Tiles also offers Mozilla new partnership opportunities with advertisers and publishers all while respecting and protecting our users. These sponsorships serve several important goals simultaneously by balancing the benefits to users of improved experience, control and choice, with sustainability for Mozilla. 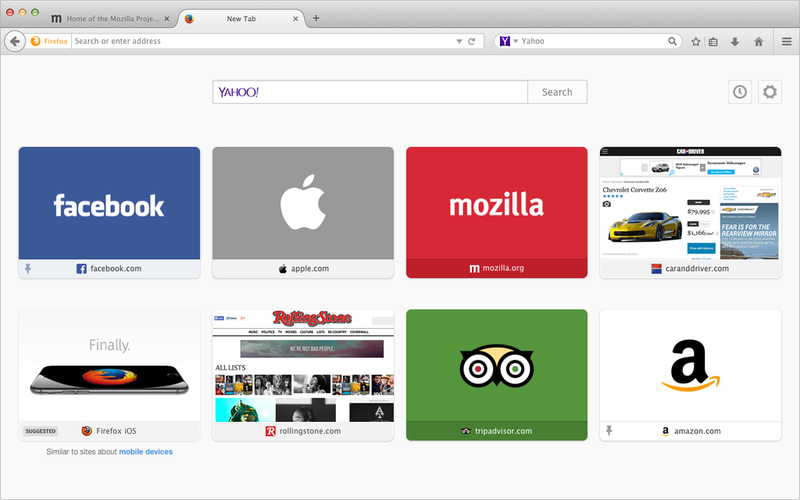 What users currently see in the New:Tab page on Firefox desktop will continue to evolve, just like any digital product would. And it will evolve along the lines I discussed earlier here. Above all, we need to earn and maintain users’ trust. You can learn more about Tiles here. With the testing we’ve done, we’re satisfied that users will find this an experience that they understand and trust – but we will always have that as a development objective. You can expect us to iterate frequently, but we will never assume trust – we will always work to earn it. And if we do have and maintain that trust, we can create potentially the best digital advertising medium on the planet. We believe that we can do this, and offer a better way to deliver and to receive adverts that users find useful and relevant. And we also believe that this is a great opportunity for advertisers who share our vision, and who wish to reach their audience in a way that respects them and their trust. If that’s you, we want to hear from you. Feel free to reach out to contentservices@mozilla.com. And a big thank you to our initial launch partners, CVS Health, Booking.com, and Citizenfour who see our vision and are supporting Mozilla to have greater impact in the world. Argentina, Australia, Austria, Belarus, Belgium, Brazil, Canada, Chile, Colombia, Ecuador, France, Germany, Hong Kong, Japan, Kazakhstan, Mexico, New Zealand, Peru, Russia, Saudi Arabia, Spain, Switzerland, United Kingdom, United States and Venezuela.